If you ever walk on the Downtown Mall in Charlottesville, you have probably seen the unfinished Landmark Hotel site. 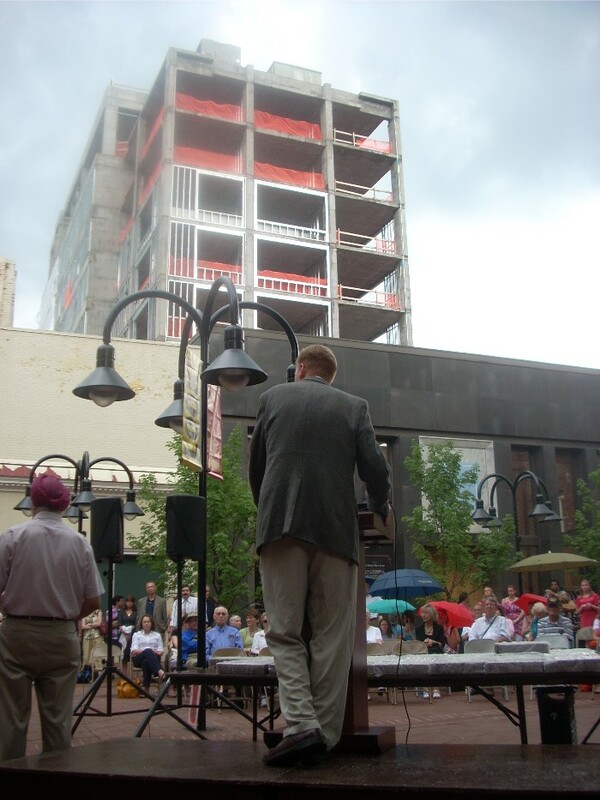 Ground was broken to build the towering, upscale hotel in March 2008, and it was supposed to have been completed in the summer of 2009. The hotel was anticipated to offer a major boost to downtown revitalization. Somewhere along the way, however, the project ran into funding and management difficulties. A blog that was set up to chronicle the construction progress made its last post in October 2008. Today as you walk by the building site you can see the towering metal beams reaching up into the skies and the cavernous unfinished spaces. What had begun as a promising project has become an eyesore and an embarrassment. For which of you, intending to build a tower, does not sit down first and count the cost, whether he has enough to finish it—lest, after he has laid the foundation, and is not able to finish, all who see it begin to mock him, saying, “This man began to build and was not able to finish” (vv. 28-30). First, he wanted to warn men against making false professions. There will always be those who claim to be Christ’s disciples but who fall by the wayside when hardship comes. In order to guard against a false profession one must first sit down and count the cost of following Christ. Will I follow him even if my family opposes me? Will I follow him even if men ridicule me? Will I follow him even if it means I will suffer for him? Second, Jesus wanted to offer assurance to those who were authentic disciples. Those who persevere in following Christ, even when times are hard, have assurance of their salvation. “He who has begun a good work in you will complete it” (Philippians 1:6). “But he who endures to the end shall be saved” (Matthew 24:13). Are you considering the claims of Christ? Count the costs. Are you one of his disciples? Continue to persevere and enjoy the comforts of Christ. Daniel Wallace on the "Comma Johanneum"